Check out this link for Chef Michael Smiths last episode on cooking steamed mussels. If you fast forward to about 3/4 of the way through you will see him serve the mussels in our pottery mussel shell dishes. 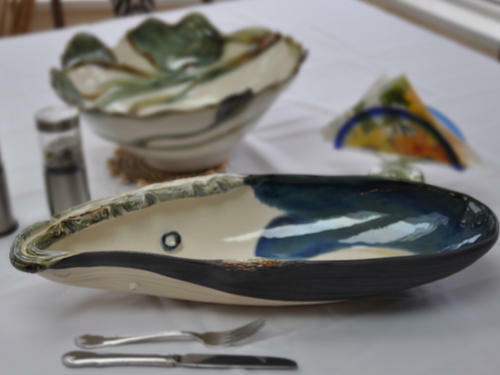 Our beautiful pottery gives a dining presentation that will leave your guests truly impressed and smiling. 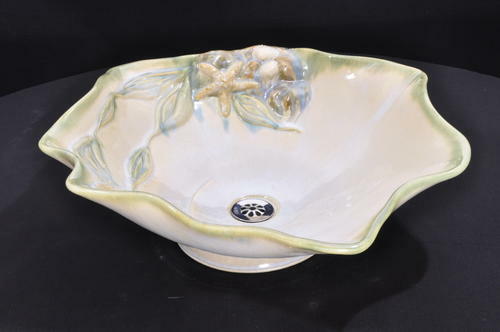 Gourmet Pottery Seashell Dishes look just like shells on the beach, and are individually hand sculpted out of high-fired porcelain clay. 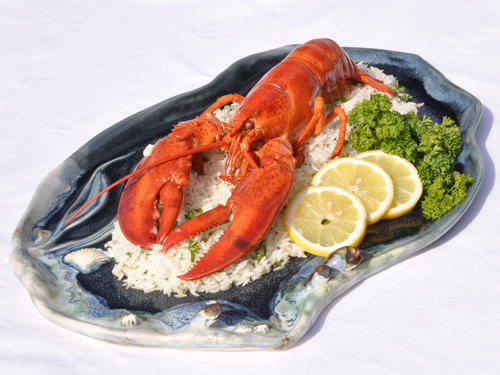 These sea shore wonders are food and oven safe, allowing your master cuisine and foods to be baked and presented right "in the shell". Company comes over, it's the first time they have visted you at your house and you know. Wait for it, wait, smile to yourself, hide the grin. WOW! honey did you see the bathroom sink. Oh my god ....... on and on for the next few minutes. But you have heard it before, as you sip your wine trying to hide that grin, your wife is giving you that happy wink of the eye. Life is good, your wife is happy ( happy wife, happy life ) your gusts are probaly still asking questions about your sink. 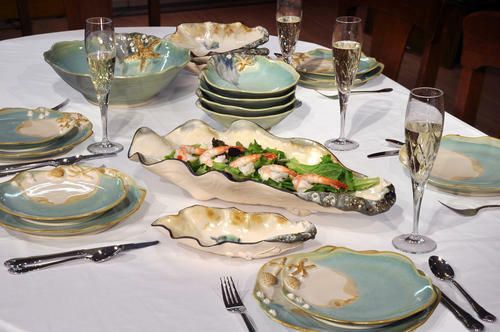 Little do they know that dinner will be served with the same stlye high end pottery.